We are delighted to say that Scottish Water has won the Exemplar Project (Scotland) Award for the Water Efficiency Trial (WET) at the UK Water Efficiency Awards 2016. 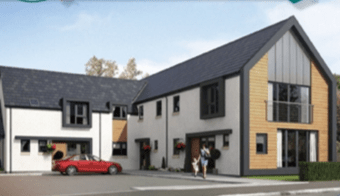 Etive began this project with Scottish Water in 2013 working with Scottish housing associations and then private new home builders to achieve a target of 2,000 households using the Home Log Book technology. 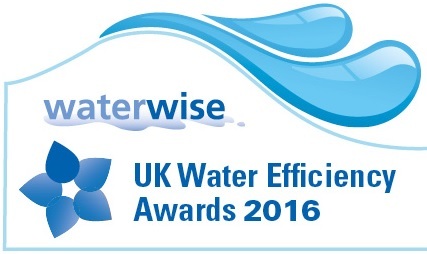 The winners and runners up of the UK Water Efficiency Awards 2016 are now available on the Winners and Runners Up page on the Waterwise website. The Water Efficiency Trial (WET) helps Scottish Water better understand water use in and around homes in Scotland. With a years’ baseline information from 2,000 homes Scottish Water are currently delivering a number of interventions and evaluating the impact of different interventions over the next two years. These include the installation of a range of water saving devices in the home and outside, and the provision of in-home water efficiency advice; focusing on water saving behaviours which householders can adopt and follow-up advice to reinforce behaviour change. Some householders will also benefit from both the devices and in-home advice. The project has been working with partners Etive Technologies (Etive) and the Energy Saving Trust (EST), who have recruited customers to the trial and helped develop messaging to encourage water efficiency. It gives us valuable insight into the factors affecting domestic water use and the different motivations influencing household behaviour; including how energy is used for producing hot water in homes and associated costs. The team picked up the award at a ceremony held in the House of Lords, London. This is a fantastic new development by Ogilvie Homes at Links View, Carnoustie overlooking the famous Carnoustie golf links which offers a mix of 2 bed cottage flats, 2 bed mid terrace villas, 3 bed terrace, semi-detached and detached villas & 4 bed detached villas from £106,208 with the Help to Buy incentive (based on 85/15% government equity stake on 2 bed cottage flat for £124,950). Over half of the new homes being built on Links View, 48 homes, have been sold and the development is still not completed. This tells us that not only is this a great development with great homes but is in a fantastic location and a reflection of an improved housing market. So well done Ogilvie. Again we are delighted to be working with Ogilvie Homes using the Home Log Book for each property for long term customer service. I read a great newspaper article a few weeks ago on the world’s first digital/smart bra, which offers both moral as well as physical support. What does a smart bra do? Measures your breathing and heart rate and transmits the data to an app on your phone. You can measure live data which will help you to track and monitor how well you are doing when exercising. The smart bra was showcased at the Las Vegas Consumer Electronics Show (CES), the place to go if you want to see what new technological innovations are rolling out onto the market. But I do wonder if smart underwear is a step too far on the daily treadmill of exercise? My initial thoughts were ‘this is great’ but as I pondered all the potential applications of the data I got worried about what this might be, what is it useful for, and for whom, and who might actually see it. The thought of my underwear size being out in the ‘cloud’ really did not sit comfortably with me. I think we can agree that at first reading it is a good idea and that in the right context a potentially useful tool. What was interesting was that the smart bra did get mixed reviews at the CES, no doubt once people got past all the sniggering. Another innovation was the smart fridge that takes ‘selfies’ – not my description – of the contents of your fridge and will send this to you so you can re-stock on your way home. Again, initially seemed a great idea but when reality kicked in I wondered about the cost benefit of installing this technology, maintaining it, and who else would then have knowledge of my fridge contents, all for the price of forgetting to buy a litre of milk. Some of you might remember back in the day when Casio launched a wrist watch with a push button calculator on the face. Great for us kids as our fingers were small enough to use it but no use to adults. This was a great Christmas gift that I got, but they fell out of favour quite quickly simply due to the practicalities of them and declining costs of desktop calculators. I do wonder if we are close to technology over load in some areas? Are some technologies really new innovations or just applications for the sake of it, with no real long term viability? Such is the fast pace of innovation and application of technologies these days do we just get caught up in the ‘wow’ factor, always looking for the next ‘wow’ to come along. You might have seen recently that Apple is reducing production of their 6S and 6SPlus phones by 30% due to lack of take up. It is no surprise that Apple have not yet released sales figures of their smart phone, the market view being that sales have been well below expectations. Combined with this is the decline in Apple App Store sales. It is only one year ago that Kindle sales in January 2015 ‘fell off the cliff’ and in October 2015 Waterstones stopped selling the Kindle. Again another great present from Christmas past. Fitbit ‘dominates’ the wearable technology market yet their January 2016 share price plunged 36% at the release of their new product….a type of smartwatch, but with less functionality than the Apple smart watch! Again the markets are not convinced. I have to declare some bias here, I bought a Fitbit last Christmas as a present and the delighted recipient can’t find it now. This brings me onto the Internet of Things (IoT), in which some would have us believe that all connected devices and information will change and revolutionise our lives for the better. 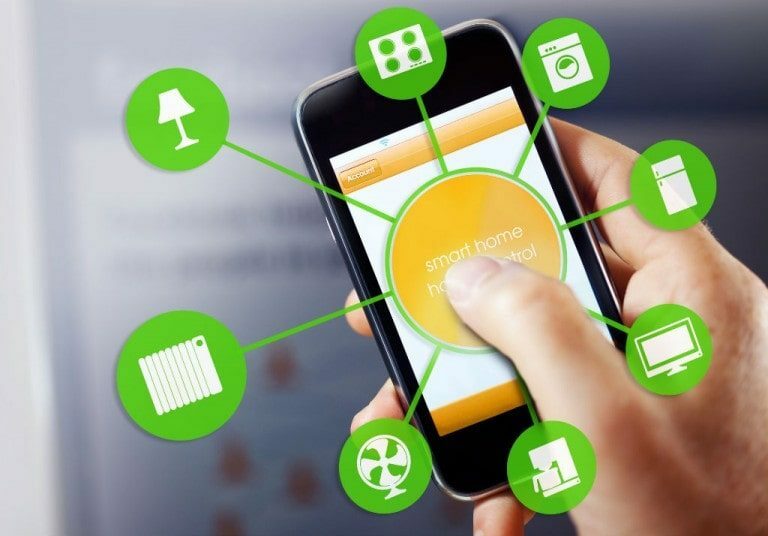 Smart home devices will connect everything and tell us everything we need to know and do. But again the argument just doesn’t stack up; sales of smart home devices have still not taken hold and smart energy efficiency homes and renewables are still arguably 10 years off (according to feedback from one of the final presentations in last years The Apprentice). Why are these cool devices just not really taking off or not really being that useful? A recent Accenture report (Igniting Growth in Consumer Technology) highlights a number of good points about this new technology. This includes the view that smart devices are just too difficult to use, concerns over security and who can view your data and that these enormous companies are gathering very intimate personal information and doing what with it? Other issues are the incompatibility of devices, the real long term value of such devices – they tell you what is going on but without support or calls to action. As a final point the initial ‘wow’ factor disappears very quickly as another ‘wow’ comes along. To have all your devices connected brings another issue of technology overload and the problem of ‘device switching’. What device becomes the ‘parent’ device? In the good old days we had a TV remote. Now we have one for the digital TV, one for the Virgin box (which is incompatible with other remotes, a common problem with them), one for the Apple TV box and one for the DVD player. Four devices to just watch the TV! Oh and by the way I can control my TV from my tablet and the Apple TV from the Ipad. If we connect all our devices do I really want my underwear connected to my phone, to my tablet and PC (yes I still have one) my TV and even my fridge? Do I want a message from my underwear telling me to stop buying any more pies? Call me paranoid but no I don’t. I already know when I’ve drunk too much, eaten too much or not done enough exercise. Relying on technology to point this out and solve it for me reminds me of the people following their sat nav off the edge of a pier. This brings me to my final point, paranoia, another issue that came out of the CES this year. Driverless cars, monitoring underwear, selfie fridges, no wonder the US military stopped experimenting with smart underwear in 2008 as the project was ‘no longer priority’. Ogilvie Homes has released more steading style homes on their development in Cambusbarron, near Stirling. These individually styled homes come with either 3 or 4 bedrooms. Home Farm development is located in the village of Cambusbarron, just 6 minutes drive from Stirling city centre. Cambusbarron as a district dates back to the Bronze and Iron Age and has some interesting and historic attractions, whilst Stirling is a new and expanding city providing the perfect mix of medieval and modern culture, blending the historic old town with the contemporary city centre and hosting some of Scotland’s great visitors attractions such as Stirling Castle and the Wallace Monument. Each new home comes with its own electronic Home Log Book, a digital record of the home for future prosperity. IGGY is an online learning tool run by the University of Warwick for bright young people aged 13 to 18 to use, regardless of their background or circumstance. IGGY has already connected around 12,500 students across 80 countries who offers around 2,000 pieces of academic content for members to enjoy, updated weekly, and is the only social media platform for this age group anywhere in the world. The IGGY platform helps members collaborate and debate with each other, and allows them to curate their own learning experience. 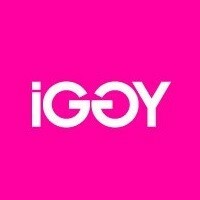 IGGY exists to widen access to education, culture and careers, and their alumni have described how IGGY changed their lives, opening their eyes to new cultures, changing the way they look at the world and giving them access an international network of friends who have stayed with them to this day. Members credit IGGY with helping them perform more effectively at school, experience greater wellbeing and overcome social exclusion, and 40% of members mentioned their IGGY membership in their University personal statements. IGGY has an extraordinarily talented in-house content team who’ve partnered with a number of organisations and universities to bring relevant, interesting and engaging content to members. IGGY is very safe and secure as it has a fully safeguarded website, moderated and looked after by a Community Manager, a team of postgraduate student mentors and the latest safeguarding software. IGGY and Etive have a collaborative relationship helping each other develop an education offering for the Digital Log Book. ‘Digital transformation’ seems to be the latest incantation of digital inclusion and what organisations are doing in order to better meet the digital needs of their customers and their business. Whilst both of these needs go hand in hand, and are reliant on each other, I often wonder who has priority – the customer or the business? All too often we see how the implementation of new technology is supposed to change and transform the way we work with each other and our customers and help us meet our business targets. Yet I wonder, if we put the needs of the business over the needs of our customers will any strategy not be doomed to fail and not meet our targets? I read a great article on Digital Transformation which highlighted that ‘technology by itself does not transform a company. Successful digital transformation is primarily determined by the degree to which people are empowered to actively embrace constant change as an opportunity for growth and innovation.’ (Dufft 2015). I think as organisations adopt their own digital transformation strategies they must put their customers at the heart of their strategy by giving them the tools to empower them to manage their own data. This will also help customers overcome the concerns they have with organisations holding their data and the security around this. We know that if people feel in control and can manage their own information they will feel more confident in sharing it and arguably the quality of the information will be much better thus providing a business benefit anyway. Giving people control of their own data has led to the growth in the personal data economy where people have come to appreciate the value of their information and their ability to share this with whom they choose, not the other way round. Empowering people to manage and share their data with public and private organisations will help drive out further business efficiencies and business opportunities, for both the public and private sector. It was in our own research that I came across a great new phrase ‘the Internet of me’, something I think worth considering in our own digital transformation plans. Ogilvie Homes have started on a new development consisting of one and two bedroom contemporary new build apartments with four separate layouts to choose from each coming with its own unique Home Log Book. 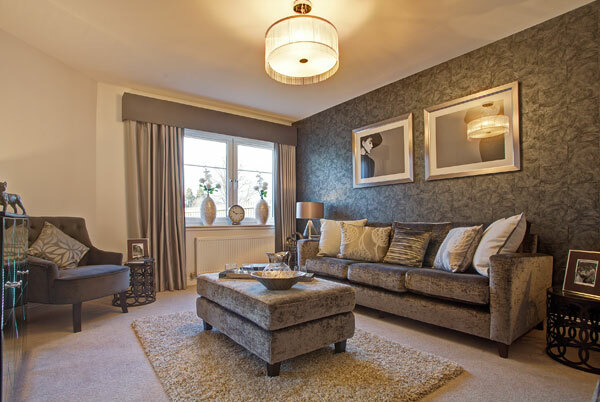 The Helix Rise development in Laurieston is located within the district of Falkirk, at the heart of Scotland’s central belt and just a short distance from the fabulous new Helix Park – home to the world’s largest equine sculptures, the Kelpies. With an array of things to see and do, from water sports to guided tours, there’s always something for everyone. Helix Rise is situated just 5 minutes from Falkirk town, where you’ll find all the key high street retailers at the Howgate Shopping Centre, and is only 20 minutes by train from either Glasgow or Edinburgh with great access to the motorway network. We are delighted to say that 400 clients have moved in Employment, Training, Education or Volunteering. To date 3510 Digital Log Books were issued to customers. This projected issued Digital Log Book to citizens to help them on their Work Journey into some kind of work related activity. People were set goals and targets to help them identify their barriers into work and to then achieve these to help build confidence and skills as they sought employment. The Birmingham Gateways of Influence Model was used to build the key skills and attributes based around individuals needs and requirements. Development of an online referral service (the Service Directory and Referral System [SDRS]), with 798 referrals made to partner agencies. Evidence of beneficial relationships formed between 3rd sector agencies and the Council. Used to inform Universal Credit design for the Universal Support delivered locally. Offering value for money; comparison with similar projects reveals that the ‘My Work Journey’ project offered value for money in terms of engagement with clients (issuing of DLB). The project team would like to extend its thanks to the impressive and dedicated work done by the team in Landlord Services in not only exceeding its targets on both Digital Log Books issued but also helping people into employment, training, education or volunteering.